Situated in Brookfield, this motel is within 1 mi (2 km) of Rusk Park and Archery Zone. Gen. John J. Pershing Boyhood Home State Historic Site and Pershing State Park are also within 9 mi (15 km). A 24-hour front desk, RV/bus/truck parking, and free WiFi in public areas are available at this motel. All 25 rooms provide conveniences like refrigerators and microwaves, plus free WiFi and cable TV. Other amenities available to guests include free long-distance calls, free local calls, and desks. 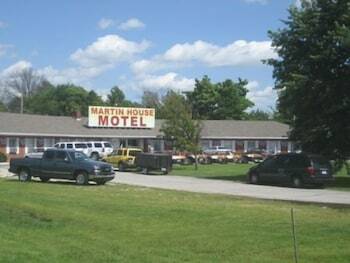 Martin House Motel features RV/bus/truck parking. Wireless Internet access is complimentary. Onsite self parking is complimentary. Rollaway/extra beds are available for USD 5 per night.